Roe Polczynski & Don Polczynski Jr.
Roe and Don Polczynski Jr. worked hard and gave back to others, but after years of struggling, they were asking the same question: When do we reach our goals? They realized they must alter their vision of their ideal future or alter themselves. They could stay on their current path and accept that they would not achieve their goals or find some way to obtain what they wanted. learn new skills that will help you achieve your dreams. Worksheets, illustrations and tools at the end of each chapter lead you to a better awareness of how different components in your life affect your situation. There is no reason any person, including yourself, should live without hope. 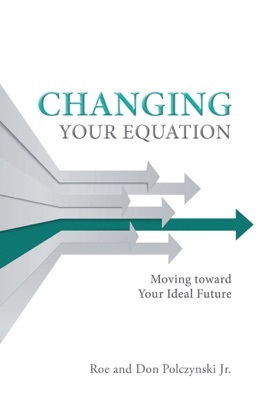 Find the path that leads to your ideal future with the life lessons in Changing Your Equation.